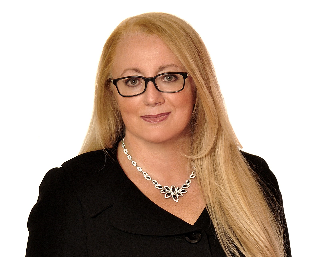 Besides being a 2017 CDN Woman of the Channel Honouree Ginette Adragna is also celebrating a significant career milestone this year: 20 years in the channel community. Adragna is the Chief Financial Officer for CDW Canada, CDN’s No. 1 Solution Provider in the last four years. Her primary focus has been to provide financial compliance for the Canadian subsidiary as well as the financial planning for the growth of the organization. Adragna was one of the key executives that help vault CDW Canada from a position outside the Top 10 on the CDN Top 100 Solution Providers list to the No. 1 spot in less than five years along with leader Mary Ann Yule. Yule was Honoured by CDN back in 2011. “This is an incredible honour and the timing for me really resonates since I’m also celebrating my 20-year work anniversary. The two milestones are linked and its thrilling,” she said. Adragna got her start in the channel at Micro Warehouse after she decided a new work-life balance was in order. She became a mom of two kids and thought a change was needed. Her previous job required her to travel extensively. “With two kids, I took a step back to see where I wanted my career to be. I had to have balance with my family and my career,” she said. The opportunity at Micro Warehouse was for a finance manager and Adragna looked at it as a step down from her previous role. But the finance manager job at Micro Warehouse did come with a spot on the management team. From there Adragna quickly progressed through her career path and played a vital role in CDW’s acquisition of Micro Warehouse from a Canadian perspective. “The channel has been incredible with all the changes in technology it has provided me with such an interesting career and the way the company has evolved over the years allowed me to be part of a team that was building. I was also working with talented people and at the same time supporting the customers and helping them drive their own business,” Adragna said. Working at CDW Canada has been an extraordinary experience for Adragna. She told CDN that CDW Canada’s has a strong workforce culture and the past 14 years at CDW has been nothing less than “exceptional” for her. Her role at CDW Canada is an important one because Adragna must ensure the company has made the right investments along with providing a strong foundation for growth. “We have a great opportunity in the marketplace and we also have amazing support from the overall CDW organization. Marry that with talented people and it translates into a strong culture and performance track record,” she added. CDW is also known for its roster of women leaders such as Chris Leahy, Ann Ziegler, Chris Corley and Chris Roser. And, we can’t forget the longtime leader of CDW Canada Mary Ann Yule, who left the Canadian organization early in 2016 to become the President of HP Canada Inc.
“I have certainly benefited from the strong leadership we have at CDW. It was a privilege to be surrounded by such a strong mentor as Mary Ann. We had a great working relationship. We worked very well together and its great that she is still part of the community,” Adragna said.